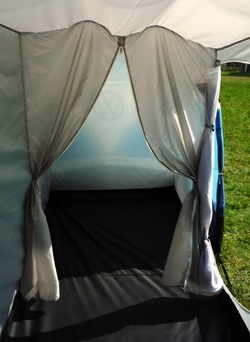 Here’s a surefire way to stand out this camping season. 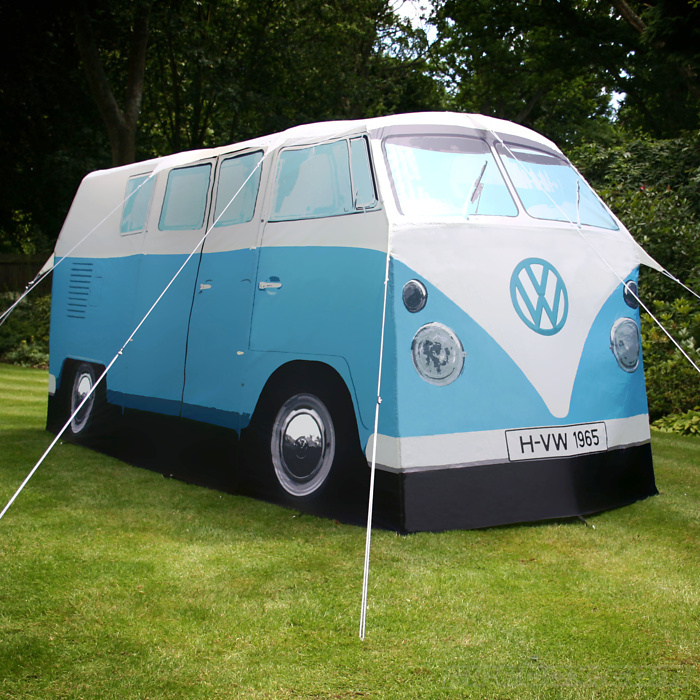 In a flash of retro genius, a U.K. company is selling a tent fashioned to look like the classic Volkswagen Camper Van. Modelled after the 1965 split screen version of the camper, the tent has roughly the same dimensions as the cult classic car and can comfortably accommodate four or five adults. The pole-rigged tent comes in three colours (blue, red and yellow) and sells for £299.99 ($473 Cdn). The London-based company behind the tent, The Monster Factory, says its creation is geared toward “uber-chic campers,” festival goers, and adventurers, like surfers or mountain bikers. Oh, and basically anyone old enough to remember Woodstock 1969.